I’m old school – and I love neon. I know it may not always be the most environmentally-friendly option, or even the most effective thanks to current design trends, but there’s something about it that I just love. Perhaps its to do with my childhood, seeing the numerous neon signs in Vancouver, and at the markets. 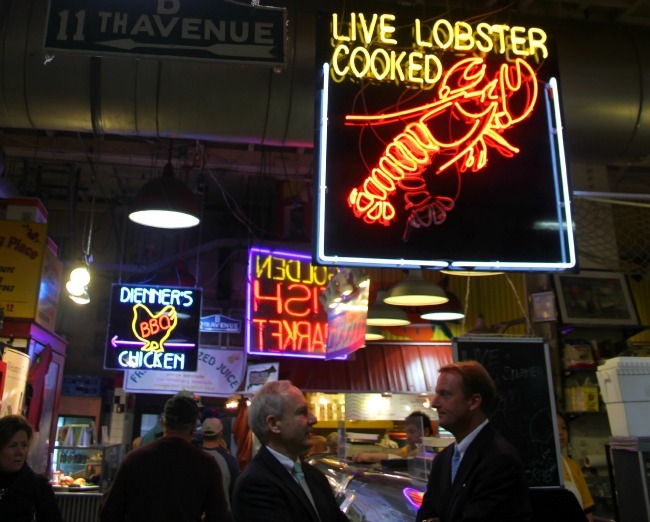 The last time I was in Seattle, I was happy to see numerous neon signs in Pike Place Market. 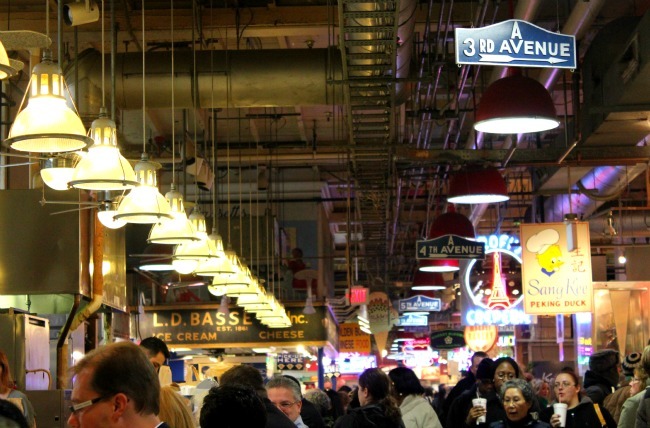 So when I walked into Reading Terminal Market in Philadelphia, initially fixated on finding something to eat, it was the neon signs that caught my attention. I snapped away, thrilled to see so many of them – some of them very conventional and some a bit more fun. I’m sure the patrons are not immune to them, but as regulars they probably don’t think of them as distinct or unique. For this traveller, the use of neon is rare – its become old-fashioned, something that represents the past and not the first option for most businesses. But within the world of food markets, there seems to be a happiness in nostalgia, in the current trend of local, sustainable and seasonal really the original way it was always done. And so goes the signs….